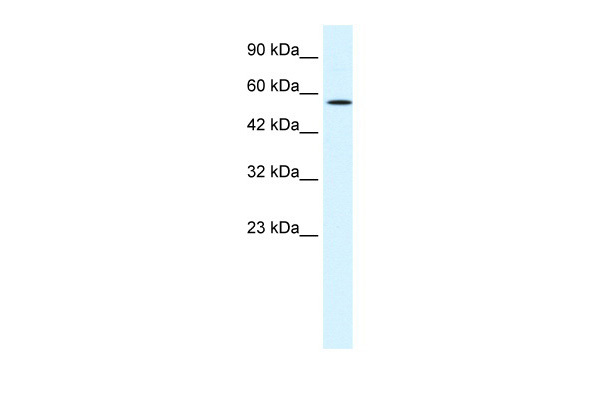 Western Blot analysis of MEIS2 expression in transfected 293T cell line by MEIS2 monoclonal antibody (M01), clone 1H4.Lane 1: MEIS2 transfected lysate(51.1 KDa).Lane 2: Non-transfected lysate. 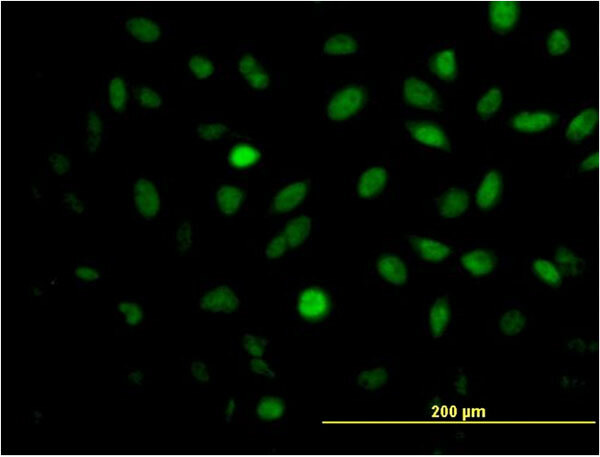 MEIS2 monoclonal antibody (M01), clone 1H4 Western Blot analysis of MEIS2 expression in HeLa ( Cat # L013V1 ). 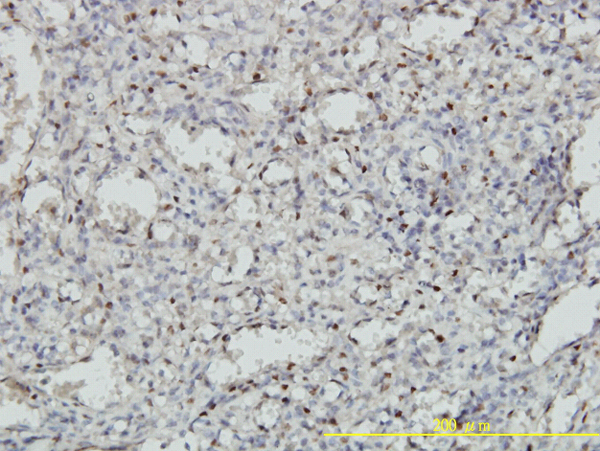 MEIS2 monoclonal antibody (M01), clone 1H4. 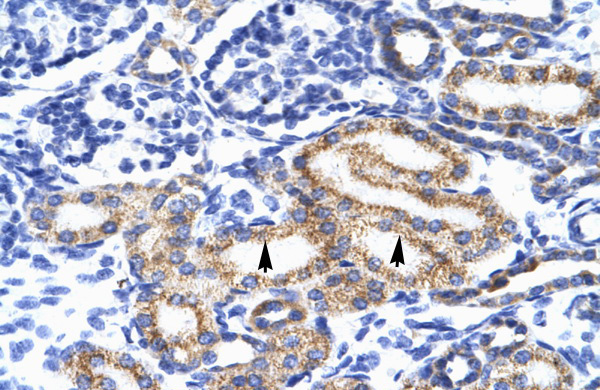 Western Blot analysis of MEIS2 expression in K-562 ( Cat # L009V1 ). 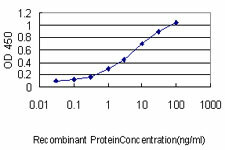 Detection limit for recombinant GST tagged MEIS2 is approximately 0.03ng/ml as a capture antibody. 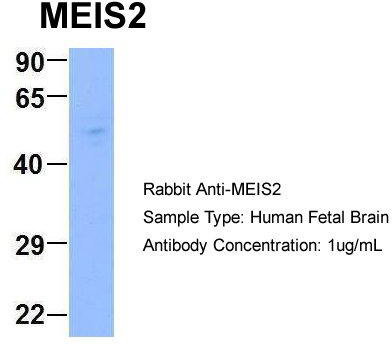 MEIS2 monoclonal antibody (M03), clone 1D1 Western Blot analysis of MEIS2 expression in IMR-32 ( Cat # L008V1 ). MEIS2 monoclonal antibody (M02), clone 1B3. 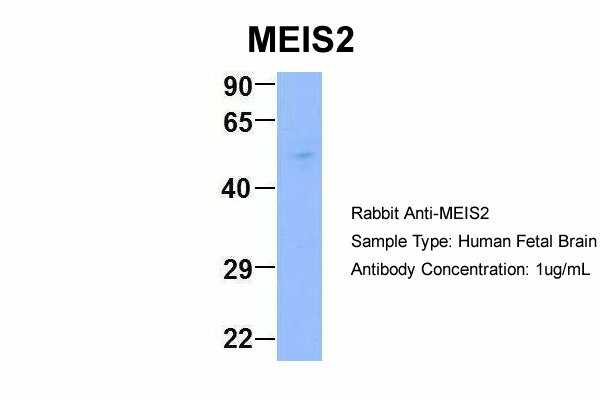 Western Blot analysis of MEIS2 expression in IMR-32. 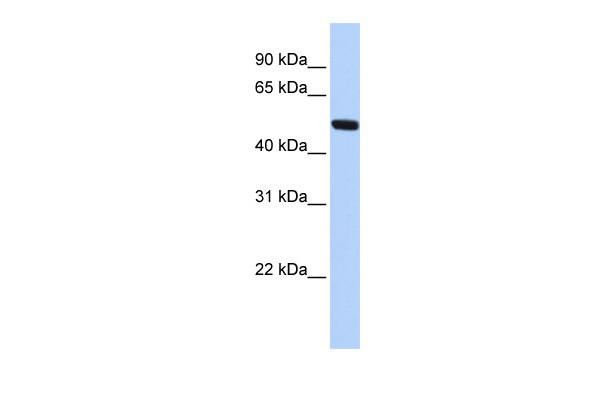 Western Blot analysis of MEIS2 expression in transfected 293T cell line (H00004212-T01) by MEIS2 MaxPab polyclonal antibody.Lane 1: MEIS2 transfected lysate(51.7 KDa).Lane 2: Non-transfected lysate. 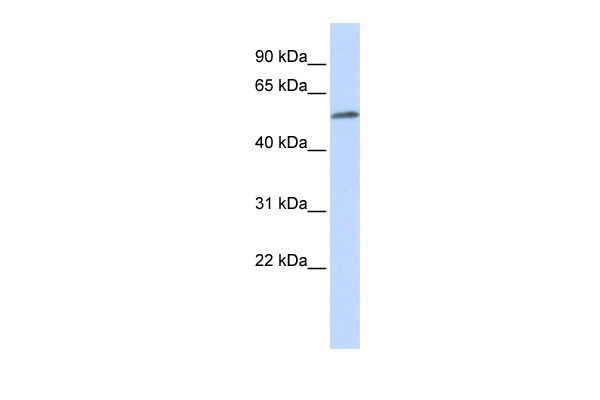 Western Blot analysis of MEIS2 expression in transfected 293T cell line (H00004212-T02) by MEIS2 MaxPab polyclonal antibody.Lane 1: MEIS2 transfected lysate(51.10 KDa).Lane 2: Non-transfected lysate. 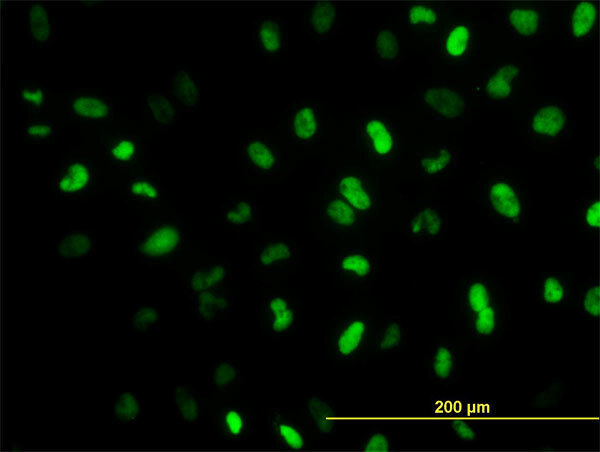 (0.3ug/ml) staining of Rat Thymus lysate (35ug protein in RIPA buffer). Primary incubation was 1 hour. Detected by chemiluminescence.